LAS VEGAS — One company is trying to solve age-old problems with the flash bang grenade — a crucial piece of gear used by both military and law enforcement, especially in close-quarters scenarios. The item can give operators the element of surprise, stunning and freezing their adversaries, if only for a crucial few seconds, while they enter a room or area. But the trade-offs have always been there, said Marine veteran and Liberty Dynamic CEO John Chapman. The rounds bring to bear the equivalent of 14 stun grenades simultaneously. Too much smoke, preventing entry teams from getting a positive identification on their target. Flammability. Both the initial flash and subsequent heat of the cannister can often cause fires, doubling the danger. Secondary fragmentation. Standard flash bangs explode with enough force to make rocks and other debris turn into shrapnel. On display here at the annual Shooting, Hunting, Outdoor Trade Show, the nonlethal option is competing for attention with booths full of new assault rifle designs and a variety of other industry products. “The problem with most stun grenades is they can go off when they aren’t supposed to, roll towards an unintended target, cause fires and scatter secondary debris,” Chapman in a release. 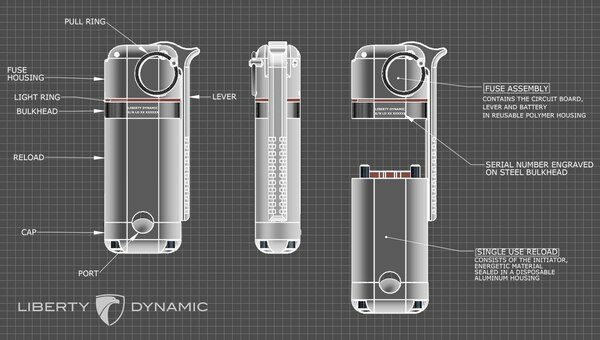 Chapman and his company are trying to solve those problems and others with the use of a digital fuse on their Enhanced Diversionary Device that is reusable and interchangeable with different types of devices, from smoke to pepper spray to explosives. The company is currently working through the Small Business Innovation Research program with the Air Force. The flash bangs can be programmed at the factory for the preset needed by the unit. Chapman said they tailor the timer to the standard operating procedures of the unit. If the item needs to airburst, it can have a less than one second fuse. If it needs to delay further, that’s an option too. And with the digital version, there’s less leeway. Traditional flash bangs have about a one-second deviation from what they’re designed for due to the various factors in powder fuses. But the digital fuse doesn’t have that issue, he said. The design has also created a munition that is non-flammable, eliminating the scenario in which a user gets hit by enemy fire or shrapnel and that event ignites the flash bang on their kit. 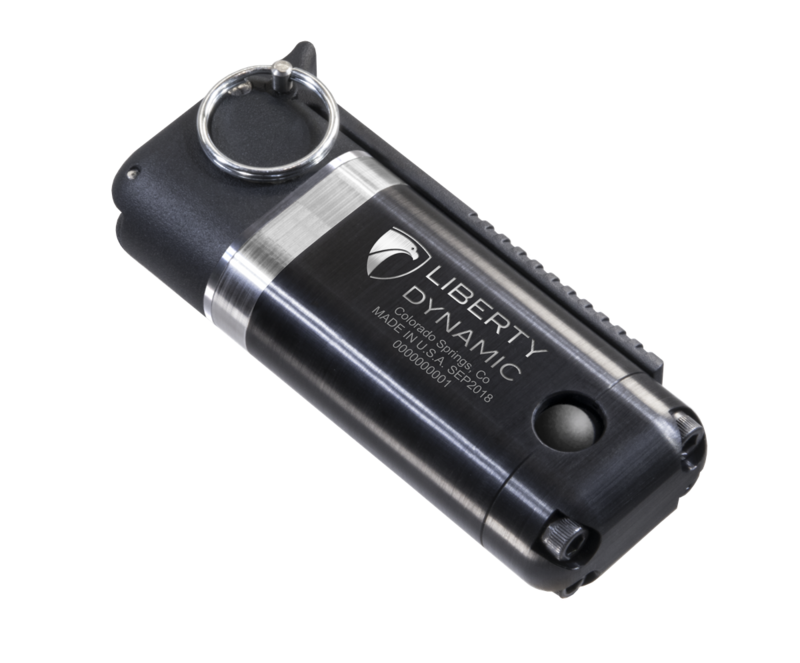 The 1-pound, 1 ¼ inch-long, 3-inch wide device also has a rectangular shape, which is different from most cylindrical flash bangs in the inventory, which can roll farther than intended when thrown into an area. The device has a flashing red LED light so there’s no mistaking that it’s armed. Research also shows that targets instinctively look to the flashing light, further enhancing the chance that they will be momentarily blinded and stunned by the flash. And if there is a malfunction, Chapman said, there’s no need to call the explosives ordnance disposal unit, delay training and wait through the 45-minute cookoff period common to other devices. Instead, the Liberty Dynamic device will self-destruct and then begin flashing a yellow light for render safe mode.